Most of us using Facebook and some time we may come across certain situation that some very important or excellent videos we might have missing. 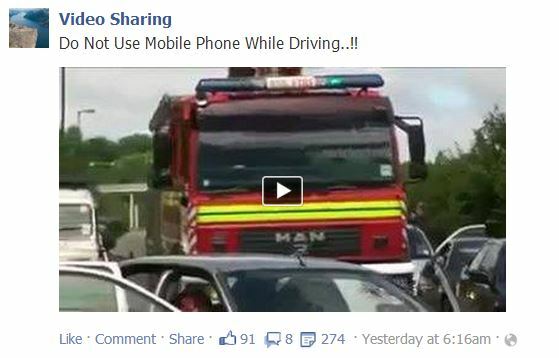 One of the reason is the uploader or Facebook itself may delete the video. So if we download the video and keep it in our computer is safe for our future use. In this tutorial I am going to explain how to download videos from Facebook easily without any software with step by step. First you’ve to determine the videos in Facebook are from which source if the video’s link without any source like Youtube or Vimeo it is Facebook video. Keep the cursor on the video link. Sometime you can’t see the video link only video thumbnail will be there like the picture given below then you’ve keep the the cursor on the video thumbnail. Right click and click on copy link address. There are several online video download sites available on the net I’ve given some good site’s links below. Click any link given below it will take to download page. You’ve to be very careful these sites shows many clickable advertisements like arrow shows on the picture given below don’t click on the adds. Click inside the download option panel like the arrow shows in the picture below and paste the video link you’ve copied and click download. It will show the options for Low quality and High quality video click appropriate option. The video will open in a new tab and video will start running, keep the cursor on the video and select save as. Now the video will start download. Sometime if the video is a private and it will show another option with different download option. Go to the Facebook page and click the video and it’ll open the video now keep the cursor on the video and press both Ctrl+U key new tab will open with source page select all the code and copy. Go again to the download page and paste the copied codes inside the download column and click download and continue from step 5. If the video in the Facebook is from other sources like the picture below. Continue from step 2 and for download links please select the links below and continue Step 5. Download the videos and enjoy.